A fabulous collection of thrilling, heart-warming, page-turning short stories, perfect for a cosy fireside read, anywhere, anytime. 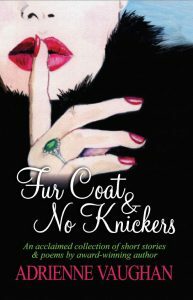 Fur Coat & No Knickers will introduce you to an impoverished heiress desperate to keep up appearances; a bitter and broken-hearted widow whose wilful terrier leads her to romance; an ageing theatrical masquerading as a highly-paid carer and a woman whose husband has maintained a secret family throughout their married life! Not forgetting the star-crossed lovers in the feel-good festive heart-stopper A Visit For Christmas.